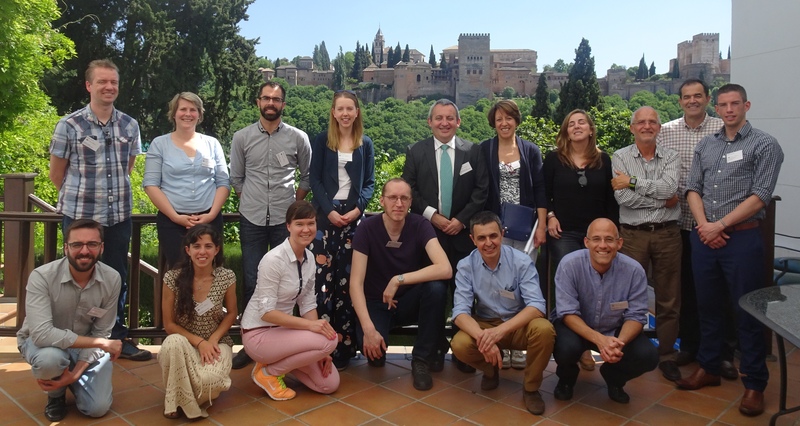 The meeting was held at Carmen de la Victoria in Granada (Spain), on 19-20 May 2016. Nineteen participants from the different members of the Consortium attended the meeting. During the first day, a plenary session took place, consisting on an overview of the whole project structure and objectives, presentations describing the four EU RIs involved in COOP+ and two roundtables (one about international RIs and another about global challenges to be addressed). COOPEUS, as a starting point of COOP+, was also presented and analysed. During the second day, presentations focussed on describing the tasks to be done within all the WPs. An external overview of global challenges and the role of RIs was formulated. Finally, a general assembly was celebrated to take decisions about some internal functioning issues.